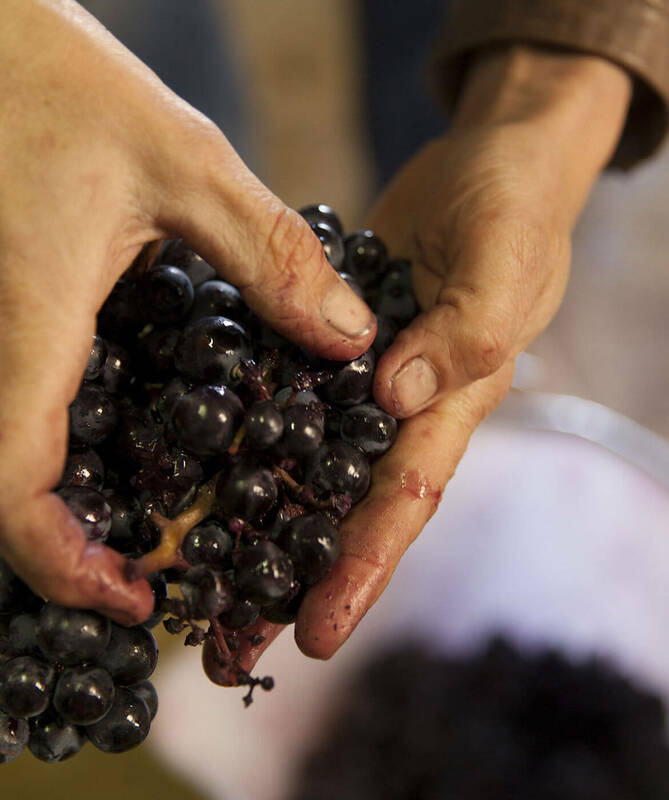 « Naissance « comes from the distinctive fruity and silky tannins of Merlot. 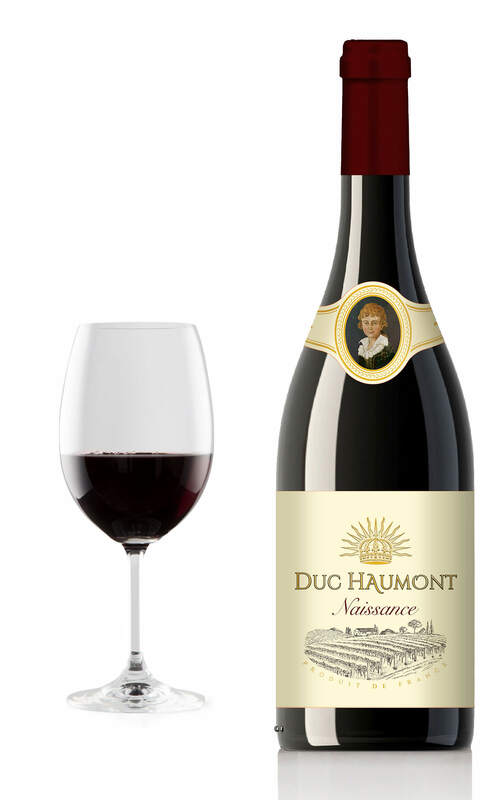 Red berries and spices aromas reflets the childhood of Duc Haumont. Night mechanical harvest with plot selection. Total destemming and cooling. Pre-fermentation maceration for 3 days. Alcoholic fermentation between 23 and 25°C for 15 days with one pumping-over per day. 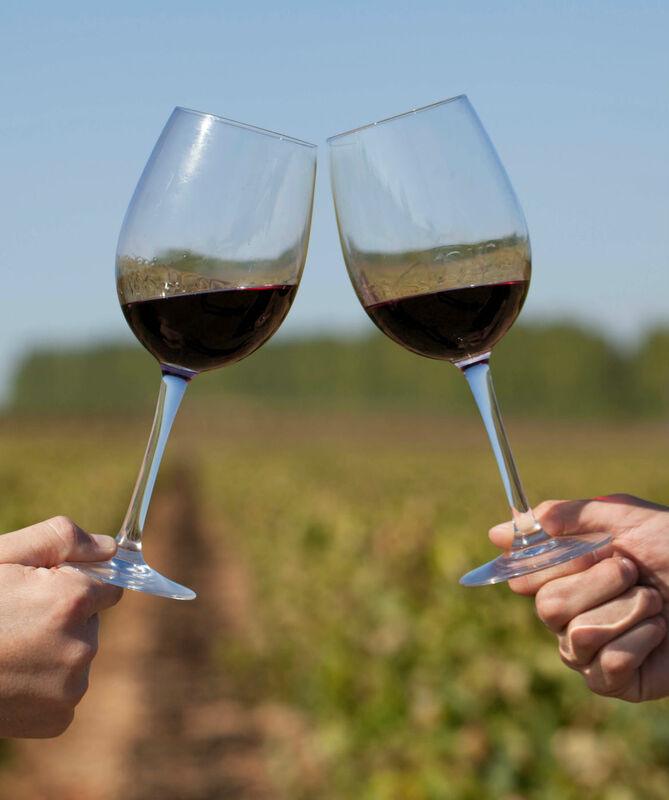 Soft pressing with separation of the different qualities of pressed wines. Malolactic fermentation. Skinny and deep ruby red. Red fruits and spices. The entry is supple, sustained by silky tannins. 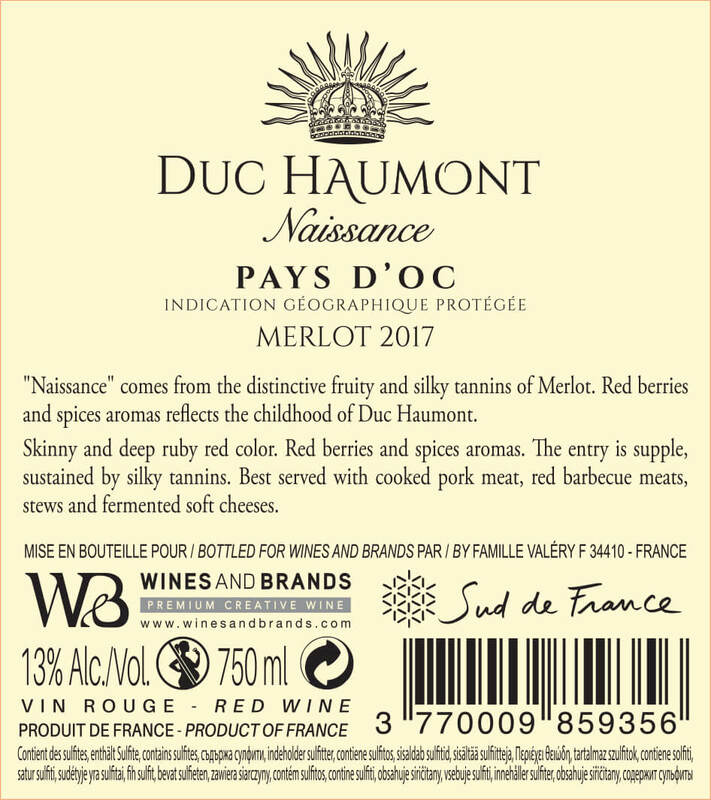 Best served with cooked pork meats, red barbecue, stews, jugged hare and fermented soft cheeses. If you wish to order or to obtain additional information, send us a message.